Last night I finally earned the everlasting respect of the precious critters known as the Sporeggar. After killing 24 more nagas for them, I gave them the ten fertile spores I had collected and became exalted. After becoming exalted, Fhwoor requested that I help him recover the Ark of Ssslith from the naga and return it to Sporeggar. Since Fhwoor told me that the quest would be long and arduous, I enlisted the help of fellow guildmate Breakar. While waiting for Breakar to arrive, I cooked up some blackened basilisk and some sporeling snacks (aside from food and water, I enjoy providing hunters in my group with snacks as they can often keep me out of precarious situations). Once Breakar arrived, we escorted Fhwoor to the naga encampment without any problems, but on our way back, Ssslith tried to stop us from making it back to Sporeggar. We defeated him again without problem, and once we arrived back at Sporeggar, I had earned the respect of all the Sporeggar. Soon, I will be able to use my Glowcaps to purchase a friendly sporebat pet to show my dedication to the Sporeggar. I would wear the Sporeggar tabard, however, it is quite ugly and clashes with my outfit. Until I get new clothing that might match the tabard, I will be sticking with my guild tabard or the beautiful red Kurenai tabard they rewarded me with besides the graceful Talbuk I have been riding around on. Last night, as part of the Karazhan Gold Team we once again rolled through Kara. We started by clearing straight past Moroes to the Opera, only to be rudely told we couldn't do the opera without first killing Moroes. We quickly went back, killed him the first time through and then one-shot the Crone all within 15 minutes because there wasn't any trash to clear on our way up. After taking out the Crone, we continued on to the Curator who decided we would have to take two tries at him due to some bad luck, so we took him down on the second try, and again, no Tier 4 piece for a mage dropped. Now, I don't even need the Tier 4 gloves, but I'd just like to see them. I'd just like to see the Gloves of the Fallen Hero drop once. Or maybe the Helm of the Fallen Hero from Prince Malchezaar. But what I'd really like to see are the Pauldrons of the Fallen Hero from High King Maulgar, but no dice. I've seen probably ten or so Tier 4 tokens drop, and not one of them has said "mage." So after the Curator didn't drop a mage set piece, we continued on, one-shot Aran, and then went back to clear the trash. We mopped up the Maiden (who once again decided I was not going to get to upgrade my shoes), and then destroyed Attumen. Another successful trip into Karazhan. On Friday, Prince Malchezaar falls again, along with Terestian Illhoof. Speaking of the Maiden not dropping my boots, the Crone last night dropped the Ruby Slippers. Now, I've been waiting for the Boots of Foretelling from the Maiden for a long time, but looking at the slippers, I'm not quite sure which are better - though I would assume the boots since that's what all my research has told me. Equip: Improves spell hit rating by 16. Equip: Increases damage and healing done by magical spells and effects by up to 35. Equip: Improves spell critical strike rating by 19. Equip: Increases damage and healing done by magical spells and effects by up to 26. So here we have the slippers with more stamina and intellect, yet no sockets. They also have spell hit instead of spell crit and 9 more damage. But with the red and yellow sockets, you can put in a Runed Living Ruby for 9 damage and then a Great Dawnstone for 8 spell hit. However, if you're at the hit cap like I am, the spell hit on the slippers is somewhat useless. But at the same time, if I get spell hit there, I can replace gems that provided spell hit on other items with gems that provide damage or spell crit. My current boots don't have any spell hit on them, so the boots are a more logical upgrade, but the slippers would have been a nice stop-gap upgrade until the boots drop (I did win the roll, but passed them to a healer in our raid who needed the upgrade more than I). Equip: Increases damage and healing done by magical spells and effects by up to 20. When presented like that, still a pretty close call and I could have gotten by for a long time with the Ruby Slippers I think. They also function as a hearthstone, freeing up a slot in my bags (I almost never use my hearthstone anyways). It's set to Gadgetzan so I can hearth or port to any corner of both continents. But like I said, passed on the slippers. Hopefully the boots will drop soon. Unfortunately, Gruul's Lair was canceled last night due to a lack of tanks for the Maulgar fight. While I was disappointed as I wanted a shot at Gruul again, it gave me time to run my daily quests, earn a little gold, and then increase my reputation with the Sporeggar clan. 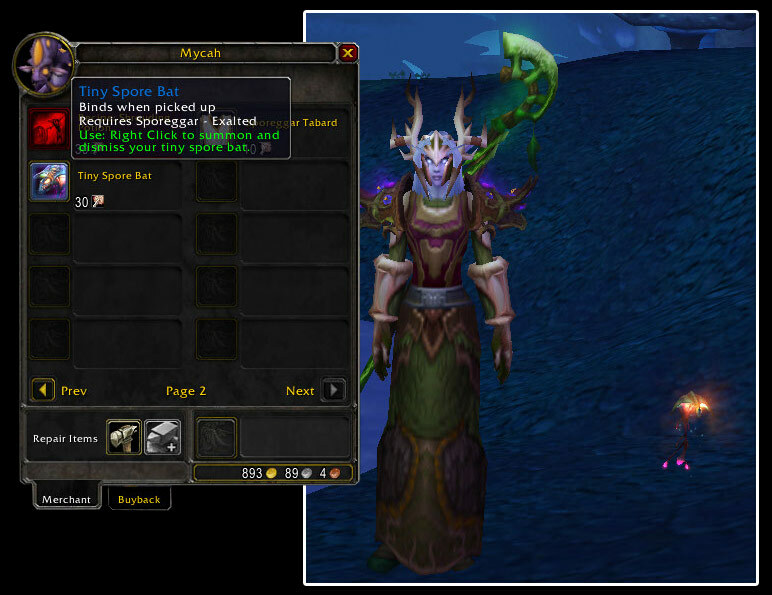 However, even after earning my daily gold, I decided to spend it on an enchant I had been wanting. I replaced the extra stamina on my Veteran's Silk Cuffs with extra spell damage. It seemed to help immediately, however, the cost was high. I had already farmed the primal water, but had to buy six primal fires and used six of my last nine large prismatic shards. The only reason I ever considered this though is because I don't plan on upgrading my bracers until DarkLight Resolution ventures into Tempest Keep or the Black Temple. Karazhan tonight. Hopefully my boots drop from The Maiden. She's been quite stingy lately. Yesterday, Mercreus and I added a new member to our arena team, Mushrooms of Death, an intimidating warlock by the name of Nefernetcher. Together, we teamed up and actually won a few matches. It seems that the teams we have trouble with are those with paladins. Their ability to bubble along with their plate armor makes for a very tough matchup. Every time you get a paladin close to death, they are able to bubble and then not only heal themselves, but heal their partner. So what you really need against a paladin is survivability. You need to be able to take the paladin down to the point of bubbling, switch targets to the other teammate when the bubble goes off, and then switch back and kill the paladin when the bubble expires. The problem is, both Nefernetcher and I wear cloth and our sustained DPS can only last for so long. However, the practice I had yesterday with Nef rewarded me with experience so I am better trained as how to fight opponents with cheap tactics and tough combos. Those two lock teams are pretty tough. Tonight, we venture into Gruul's lair once again. Last week we were able to kill High King Maulgar and took a good shot at Gruul. Again, with practice comes perfection. 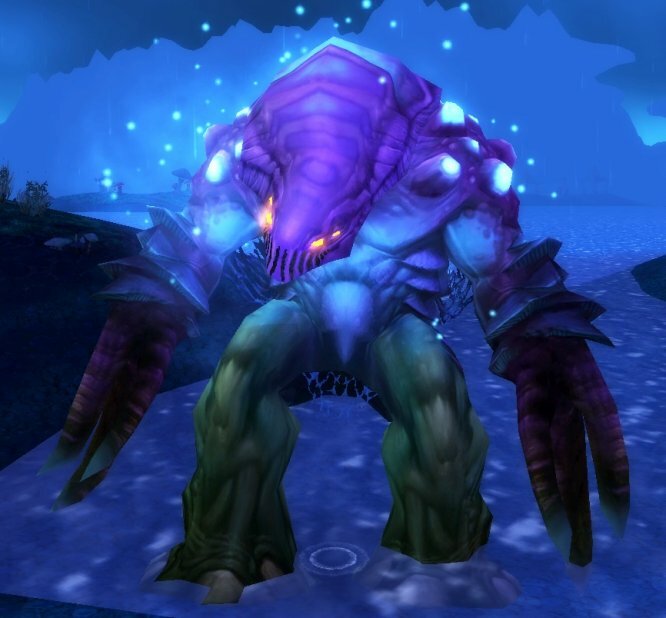 I hope we can learn more about Gruul tonight as we look to take down Maulgar the second week in a row.